Connecticut is just emerging from winter’s freeze and the fish are hungry. Grady Allen at Upcountry Sportfishing (www.farmingtonriver.com) reported that the high water on the Farmington River is starting to recede from last weekend’s deluge and resulting snow melt further north. Even though trout season doesn’t open until late April, the catch-and-release action for browns and rainbows is fantastic. “No one takes the fish home so they are plentiful,” Allen says. Flyfishermen are fooling these trout with small nymphs and wooly-buggers while spincasters are having luck with yellow coach dog Roostertails. 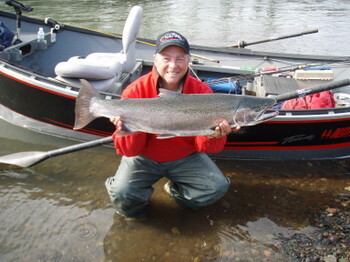 By the end of March, he expects the dry fly action to heat up. “When the water drops, anglers will switch to dry flies,” he explained, recommending bluewing olives or quill Gordons to produce the best. 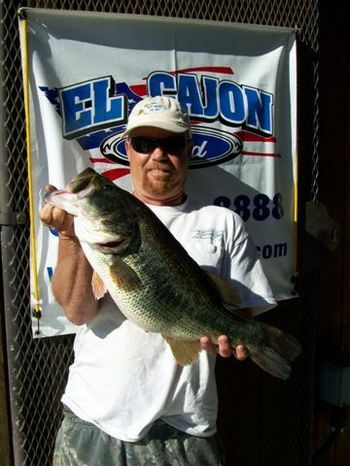 “Fishing is just starting to pick up,” reports Captain Jack Hoskins at (www.maddjackstriperguide.com) in Arkansas. The ice had only just cleared from Lake Wilson and Jack is already into the striped bass. “Most fish are between 4 and 6 pounds,” he says, “but we’re picking up some 15-pounders here and there.” Jack says that catching stripers is easy when you’re slow trolling live shad behind a planer board. Catching live shad, on the other hand, is hard. “Some days I’ll travel up to 300 miles to catch bait,” Jack says. He says that it is tough to find bait early in the season, but as the shad recover from winter it will be easier to find them. Once he has his victims on board, Jack looks for discolored water to find the striped bass. “The cloudy water heats up faster,” he explains, adding that he also likes to fish on the windward side of the lake. To rig live shad, Jack ties up a Carolina rig with 1/8- to 1-ounce egg sinker and a 1/0 to 4/0 wide-bend Eagle Claw hook. “For some reason, early in the year they want the bait trolled fast,” he noted, so he trolls with his outboard instead of his trolling motor.